The all-new OnePlus 6T, the mid-cycle upgrade to OnePlus 6 has been launched in India at a starting price of Rs 37,999 and its sale starts today that is from November 1. OnePlus 6T will be an Amazon exclusive in India, just like previous OnePlus phones. The buyers will be available to purchase the phone exclusively from Amazon India store and also OnePlus’ official online retail store. OnePlus 6T made its global debut a day before, on October 29 at an event in New York. Now, it is officially available in India. 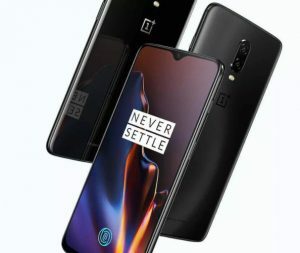 In India, OnePlus 6T is available in three models. The website is also providing launch offers from Kindle, Kotak and Reliance Jio are listed as well. People who purchase OnePlus 6T will only have to pay 6 per cent for any Kindle eBook and get a discount up to Rs 500. Also, the phone can be bought with no cost EMI offer as well and there is free damage protection offer by Kotak. Reliance Jio is offering instant cash back worth Rs 5,400 and up to 3TB 4G data. These were all the details about the sale of the smartphone, now, lets dig into the details and features of the smartphone itself.